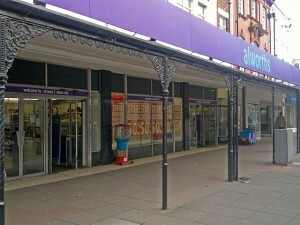 Many thanks to my North Wales contact, Dave Roberts, who has sent me a photo of the former Alworths store in Llandudno being converted into a Poundstretcher. 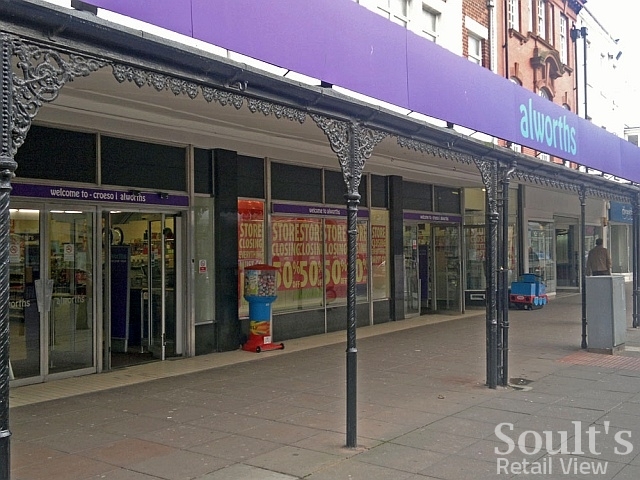 When Poundstretcher’s purchase of 15 failed Alworths stores was announced last month, the stores in Llandudno – which was briefly seized by bailiffs in March – and Evesham were the only ones in Alworths’ 17-strong estate to miss out. 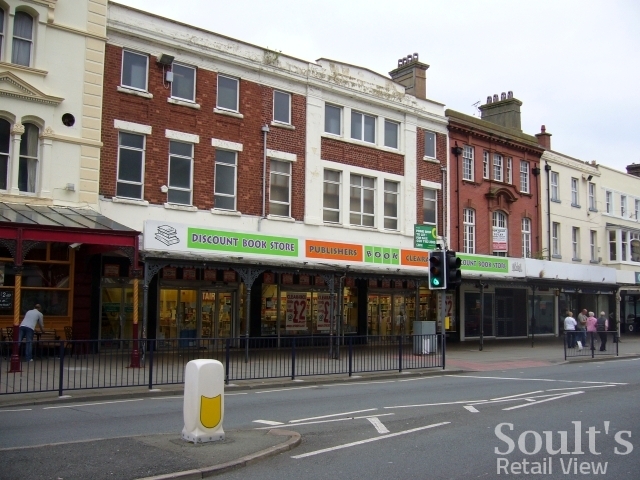 However, it seems that there’s subsequently been a change of plan in the North Wales seaside town, with new Poundstretcher signage now installed and the old Alworths branding removed from around the doors. 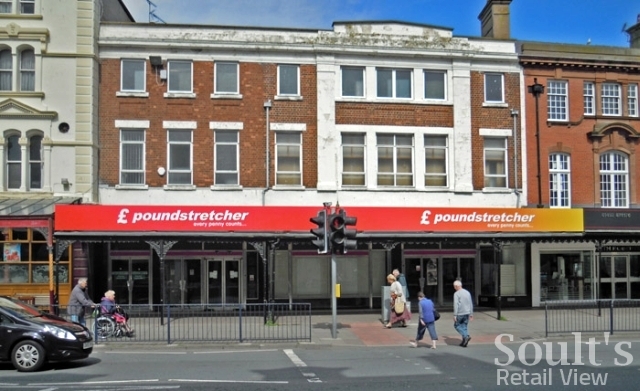 As Dave observes, there’s already a smallish Poundstretcher shop in nearby Upper Mostyn Street, and his assumption is that it will close once the new, larger store opens. However, there’s always a possibility that Poundstretcher will adopt a similar approach to in Swadlincote, where the converted Alworths holds all the convenience lines such as food, drink and some household goods, and the larger, established store opposite focuses on DIY, garden and furnishings. Llandudno’s ex-Woolworths site now has the slightly unusual distinction of being on its third incarnation since Woolies’ 2008 demise, with Publishers Book Clearance (complete with lost apostrophe) and Alworths both having been and gone in that time. Still, the fact that the property has stayed empty for very little time over this period is surely a positive reflection on Llandudno’s appeal as a shopping and visitor destination. 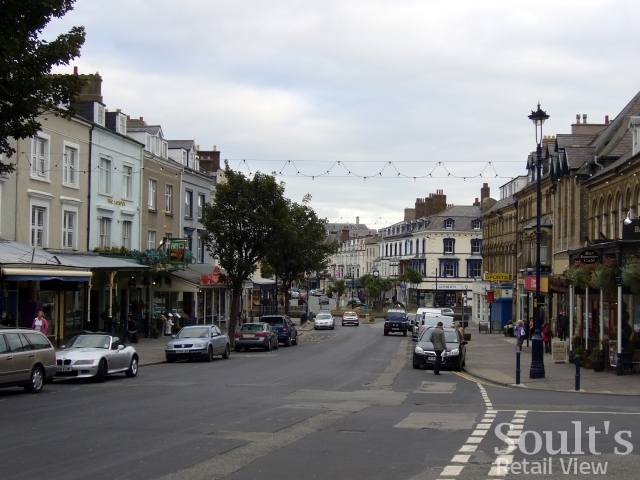 It’s heartening that even in a difficult economic climate for retailers, there are still plenty of growing businesses willing and ready to snap up the right sites in the right locations. 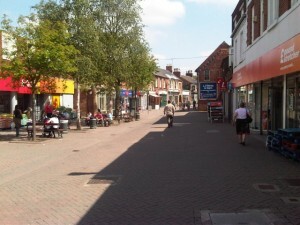 UPDATE, 23 June 2011: After all that, it looks like Poundstretcher ISN’T taking over the site after all – it’s reported that the landlord is doing a deal with Tesco instead. The local rumour was that it was supposed to be Tesco, then the Poundstretcher signs appeared. 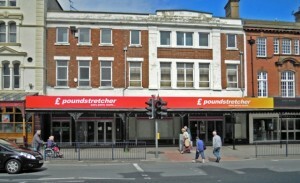 However, it seems that Poundstretcher hadn’t actually signed the Lease and Sainsburys nipped in and grabbed it. The merry-go-round continues…now Sainsburys are going to open a Sainsburys Local in the former Alworths and have put in a Licence Application to the local Council. I would be very surprised if Poundstretcher didn’t close the store in Upper Mostyn St, its small, unpleasant and cramped. It seems like a small store converted awkwardly to take more stock. A newer store is very welcome.